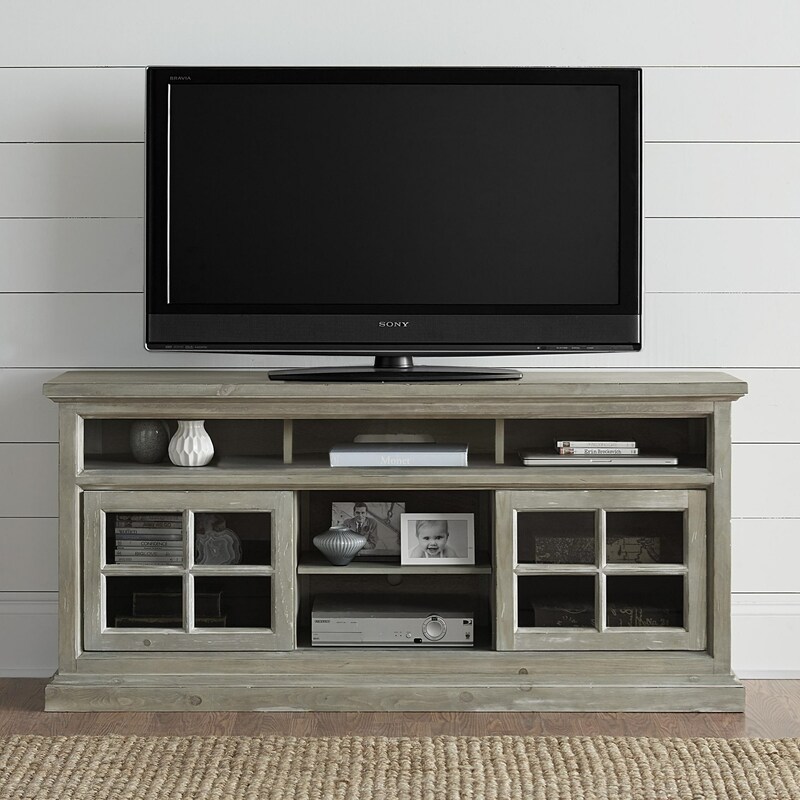 Featuring a vintage mint finish, this entertainment console is a perfect way to brighten up your living space with rustically inspired transitional style. The two sliding glass doors add a charming modern-farmhouse feel to this piece. The Buckhead 64" Entertainment Console with Wire Management by Progressive Furniture at Zak's Home in the Tri-Cities, Johnson City, Tennessee area. Product availability may vary. Contact us for the most current availability on this product. Browse other items in the Buckhead collection from Zak's Home in the Tri-Cities, Johnson City, Tennessee area.